Summer School Camp begins in July!! 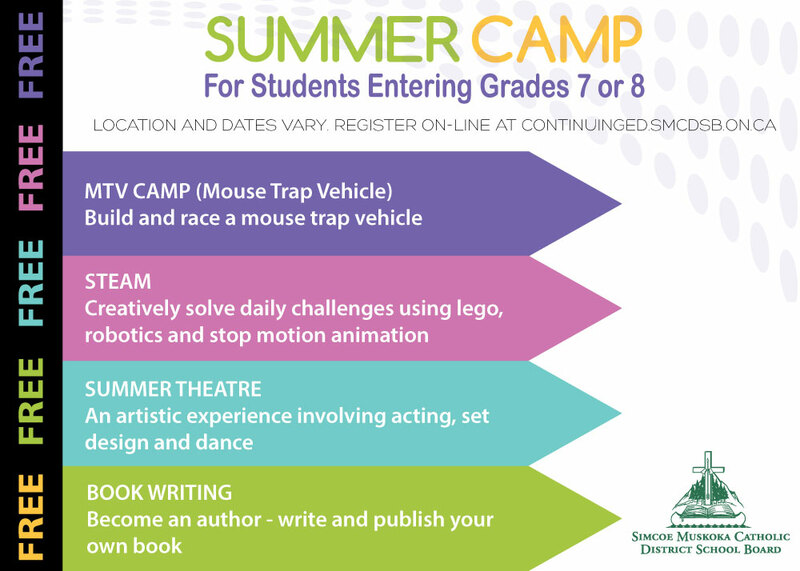 The Simcoe Muskoka Catholic District School Board is offering FREE Summer Camp for students currently enrolled in Grade 6,7 & 8. Grade 7&8 students have the opportunity to learn about science, building, musical theatre, book writing and coding while improving their language and math skills. One and two week camps are available in July 2017. 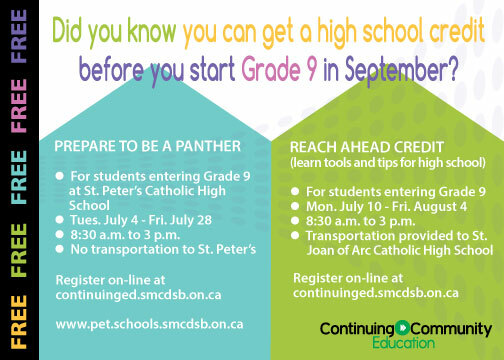 Transportation will be provided for programs offered at St.Joan of Arc Catholic High School only. Please click on line below to view postcards for more great info! !